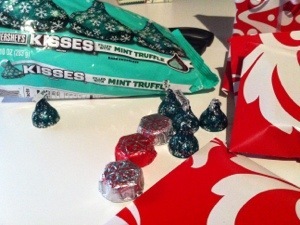 Christmas Kisses – Cut the B.S.! … I mean Blood Sugar! today I read your comment on face book about making coffee at home and how it is lower in carbs and I smiled picturing you making the coffee espresso sound. Your attitude is amazingly grounding to me in your quest to be a “good” healthy diabetic. I want you to know that you inspire me when I need it the most sometimes! thank you Arlene. Today you brought a smile to my face, and gave me some great ideas! You bring joy to something that literally is driving me nuts,and yes I love making my coffee at home- because it allows me something sinfully delicious and almost carb free! your carb deprived friend still living with the enemy blood sugar.